Hello website friends! Have I told you about my good friend Pookie yet? We are music friends who met playing shows with each other’s bands then became friends touring in the same band together and then best friends when he started living in my bedroom closet! Have you heard Pookie & The Poodlez’s new album yet? It’s called Young Adult and it’s super duper good!!!! Catchy tunes with words that are fun to say and really good guitar playing! 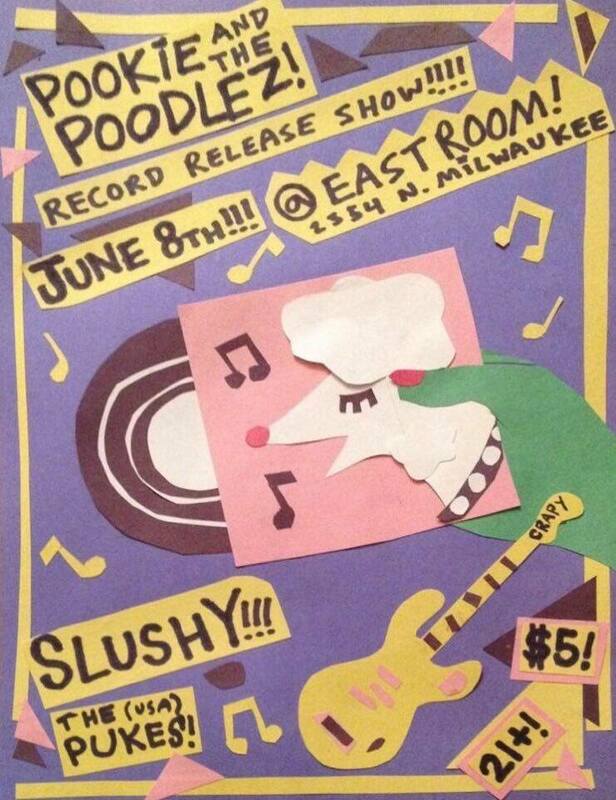 It’s out on South Paw Records, and since Pookie lives in Chicago now, he’s having a big record release party to celebrate it … in Chicago! At the East Room! With Slushy! And the (USA) Pukes! It’s all pretty exciting stuff.